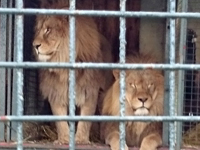 Animal Defenders International : Animals in entertainment : Welsh Government set to ban wild animal circuses. A debate is to be held in the Welsh Assembly on 7 March 2018. If YOU live in Wales, please urge your AM to attend and back the ban! To help animals where you live, visit our Stop Circus Suffering website today.